How soft-spoken is Jimmy Smits? The reserved actor might seem shy, but he’s definitely not reticent about the unequal number of Hispanics in Hollywood. Paving his own way to a successful television career, the artistically suave Smits starred in hit dramas, “L.A. Law” and “NYPD Blue”. His acting genius captured audiences and won him several roles in TV movies and films, to name a few: “The Old Gringo,” “Mi Familia,” and “Price of Glory.”With a proud Puerto Rican heritage, a family that pressed education, and role models like actor Raul Julia, fit to emulate, Smits grew up under strong influences. Now he is a reputable voice and a mobilizing force for young Hispanic artists who have aspirations to pursue careers in the entertainment industry. It was in response to the growing need for intervention that Smits co-founded The National Hispanic Foundation for the Arts (NHFA). Established in 1997, Smits and fellow actors Esai Morales and Sonia Braga, along with Washington, D.C. attorney, Felix Sanchez, believed a foundation would be the most beneficial way to advance the presence of Latinos in media, telecommunications and the entertainment industries. The Foundation’s two principal goals are “to offer graduate scholarships at renowned colleges and universities; and to expand career opportunities for existing talent in all aspects of entertainment and the performing arts.” Each co-founder feels a responsibility to give to Latino youth; and through their efforts they are hoping to see more Hispanics placed in jobs across the board, from acting and writing, to producing and directing. Education is the golden key of opportunity, and is a maxim that Smits stresses to young Hispanics. Leading by example, Smits earned his B.A. in drama at Brooklyn College, and went on to obtain his M.F.A. at Cornell University in 1982. With the belief that education fosters talent through formal training, the NHFA offers students scholarships at many prestigious graduate schools, namely, Columbia University School of the Arts; Harvard University-Lampoon magazine comedy writers; New York University Tisch School of the Arts; Northwestern University Drama Department; University of California at Los Angeles; University of Southern California; University of Texas at Austin Communications School; and Yale University Drama Department. To supplement their studies, students are offered internships and are provided with a network of professional support. 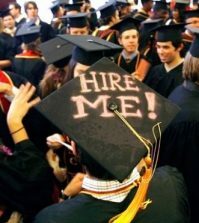 After graduation a solid set of connections is in place and can present several employment opportunities. To raise funds and awareness for the Entertainment Arts and Industry Scholarship program, the NHFA holds its annual Noche de Gala event. The soirée is mixed with celebrities, coalition leaders, and prominent politicians. At the event, students are presented with scholarships, which affords them the chance to study in such fields as Drama, Music, Film, Broadcast Communications, Entertainment Law, and Business Administration. “The scholarship program not only helps talented individuals take that first crucial step up the career ladder, it creates a network of young Hispanic professionals,” said Smits at the 2000-2001 Noche de Gala affair. At last year’s event 48 scholarships were awarded to graduate students, and each recipient received $2,500. Students must have a Grade Point Average of 3.0 or better, provide evidence of financial need, be a U.S. citizen or Permanent Resident, and be of Hispanic descent. The NHFA also partners with the Hispanic Scholarship Fund (HSF)—a nationally renowned organization that rewards outstanding Hispanic students with scholarships at all educational levels, and in all areas of study. For those students who are interested in other areas of study aside from entertainment and the arts, HSF offers scholarships to students that have a minimum GPA of 2.7 and are of Hispanic heritage. Founded in 1975, HSF has awarded more than 45,000 scholarships totaling nearly $60 million. Education remains the pertinent issue of this advocacy organization, which has a mission to double the rate of Hispanics earning a college degree by the year 2010. With advocacy groups sponsoring students financially, the education end of the problem is being resolved, but what is the industry doing to increase the number of Latinos in the sundry fields of entertainment? Despite being a culturally-targeted group, the entertainment industry has yet to recognize that with an audience of 35 million viewers, Hispanics are a dependable market. Hispanics will soon be the largest ethnic minority group in the United States; and as a mainstream populace they wield enormous consumer and political power. So why aren’t more Latinos and Latinas landing parts on primetime television, or being offered leading roles in feature films? In a recent study of employment statistics by the Screen Actors Guild, Latino/Hispanic roles totaled only 4.8 percent, when the Hispanic population in the United States exceeds 12 percent. For this reason the NHFA along with other minority advocate groups are working to create equal representation, which will more honestly reflect the diversity of our nation. The inequity of Hispanic actors, producers, sitcom writers, screenplay writers, and network executives, can only lead to programming that ignores or distorts the truth about the Latino culture. Overly simplistic stereotypes of Hispanics as service people, hot-tempered and prone to violence, or character-typed as humble and meager, does not reflect the moral fiber or the authentic wholeness of an entire race. According to the NHFA, “this omission deprives an entire community of a source of cultural pride and reality; and the country-at-large of a true picture of the American mosaic.” As a result, this can only deepen “the racial and ethnic rifts that divide us,” the NHFA says. Jimmy Smits is creating awareness in Hollywood about the dearth of diversity, while taking responsibility to foster emerging Hispanic talent. In an interview with Hispanic Today, Smits gives advice about education and becoming an actor; and he speaks of his personal experience as a mentor to students. He discusses his work with the NHFA and how his efforts as a community organizer began. HT: As a young man you were a community organizer. What led you to take on this role? Smits: In my college years, I worked as a union labor organizer. I wasn’t the “top guy”, I was just one of the many workers trying to do my part to help the community. HT: What was the connection from community activist to actor? HT: Why did you and your co-founders take on the responsibility of creating the NHFA? Did your experience as a community activist provide insight? Smits: Esai Morales, Sonia Braga and Washington, D.C., attorney Felix Sanchez all put our energies into creating NHFA. We have tried to address two main concerns: To open doors for other aspiring Latinos interested in careers in the entertainment industry, and to use our cumulative experience to benefit other struggling actors, writers, directors, set designers, costumers, managers, agents, etc., who are often locked out of the business. HT: What is the NHFA doing to address the stereotypes of Hispanics/Latinos in television and film? Smits: NHFA is working to create awareness within the Hollywood establishment about the importance of including Latinos at every level of production and casting. NHFA is also working to mentor college students by providing a small scholarship to those who have shown outstanding merit and potential at succeeding in the entertainment world. To date, NHFA has provided over $440,000 in scholarships to kids through our scholarship administrator, Hispanic Scholarship Fund. HT: Do you feel that the entertainment industry is beginning to take Hispanic issues more seriously? Smits: The entertainment industry has begun to take many small steps. It’s NHFA’s job to encourage them to take bigger and bigger steps more and more often. HT: How has the NHFA contributed to the changes? Smits: NHFA works closely with television network executives to promote Latinos both in front of and behind the camera. Where NHFA differs from other organizations is that we try to work in a cooperative manner with the industry and often develop solutions by establishing collateral infrastructure, which supports the network’s diversity efforts. NHFA is at the table, at the highest levels within the industry, and plays a very important behind-the-scenes role in supporting Latino talent and developing Latino-themed content. It also doesn’t mean that we side-step tough issues, but you get nowhere in this business by burning bridges. Smits: I have participated in a number of events including the 1997 Congressional Hispanic Caucus Hearings in Congress on the Status of Latinos in the Entertainment Industry, which Congresswoman Lucille Roybal-Allard and Congressman Solomon Ortiz organized, and Esai and Sonia have also been actively involved in such discussions. There is also an interview on a PBS show called, “Speaking Freely,” where Felix Sanchez and I discuss the issue of diversity on TV and in Film. I believe it is important for all of us to continue this dialogue and to elevate the issue in the national consciousness. HT: What agenda did you bring to the table? Do you feel that open dialogue is creating understanding and progress toward equal representation? HT: Does your degree in education have a direct correlation to your desire to work with Hispanic youth in their pursuit of a higher education? Smits: I am a firm believer in education and have worked very hard to tell young Latinos that they must go to college and that, if possible, they should pursue an advanced degree—be that in the arts, in law, in medicine, in business or whatever their area of interest. I am convinced that education is the great equalizer. HT: Beyond raising money for scholars, does the foundation offer services for students as they face the challenges ahead? Smits: NHFA has developed a series of mentoring workshops that we have produced together with CBS and Nielsen Media Research. The goal of these workshops is to explain the “business” of show business while providing an opportunity for young students to network with entertainment executives and amongst themselves. HT: Have you been personally involved in mentoring and can you tell our readers a little about the rewards of being a mentor? Smits: Throughout the years, I’ve spent time speaking at schools and encouraging students to pursue their dreams. I always try to listen to aspiring young actors and writers and give advice when I’m asked. The best part about working with young people are the letters and e-mails and messages thanking us for establishing NHFA and making them feel connected in a real way to the entertainment world. My biggest satisfaction is when I hear that they have finished their graduate program, or have gotten their first break on TV, or in Film, and knowing that they are firmly on the road to becoming America’s next new star. HT: Can you expand a little about the network of contacts the NHFA provides for acting and other industry jobs? Smits: NHFA has created a guide to internships, fellowships and grants. We also work closely with ABC’s new talent development program and two of NHFA’s scholars have received an additional $20,000 from ABC to write screenplays. I am very proud of those kids, by the way they are both Latinas: Aurora Aguero, from Columbia University and Marisa Dantes from New York University. HT: As an actor, what has been your greatest obstacle? How did you overcome it? HT: What advice do you give Hispanic scholarship recipients, such as how to turn obstacles into opportunities? Smits: As I mention, I try not to give advice unless really pressed for it because I think every person will enter this field in their own way. There are no right and wrong ways to work in this business, but there are some basic common-sense practices. First, work very, very hard and always be prepared; second, never give up; and third, once you get the job, give them more than they ever expected:—Shine! HT: Can you share some personal goals? More specifically, do you see a political future ahead or perhaps a career in education? Smits: I’m an actor. I love to act. That’s my job. I’ll leave the politicking to others, but for me, whether it’s on stage as I recently was in “Twelfth Night,” or on the big screen, or on the small screen, just give me a good role that allows me to hone my craft and I am a pretty happy camper. 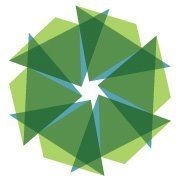 For more information about the National Hispanic Foundation for the Arts visit, www.HispanicArts.org. For more information about the Hispanic Scholarship Fund, visit the Web site at: www.hsf.net or call toll free: 877-473-4636.